Is the peak of coal consumption in China still to come or already a thing of the past? Well according to a report published on Monday in the journal, 'Nature Geoscience', to boom years for coal use in the country have been and gone. 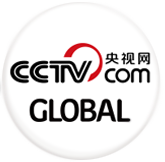 One of the paper's authors, professor Qi Ye from Tsinghua University, told CCTV News why China may now be entering a post-coal growth era. The peak year of coal consumption in China may arrive by 2020. That’s what most people believe. But Professor Qi Ye from China and Nicholas Stern from the UK have a different opinion. In their jointly-authored paper, they say that China's coal consumption might have already peaked in recent years. According to the paper, one of the most important forces that drive this trend is China’s ongoing economic slow-down, especially in the construction and manufacturing industries. Many may worry that its coal consumption will increase again if the country’s economic growth rebounds. As one of the largest global carbon emitters, China has implemented multiple policies to enhance energy efficiency and reduce carbon emissions. The decrease of coal consumption is a success, which is also relevant and impacts the rest of the world.